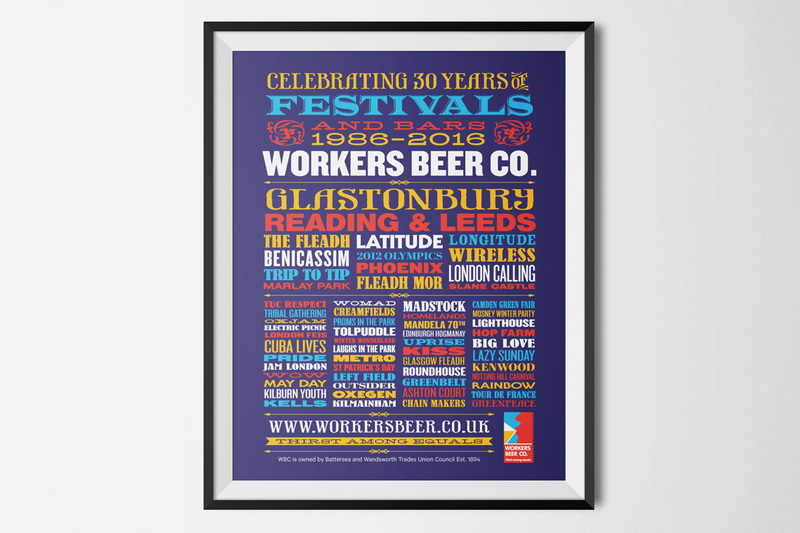 The BWTUC owned Workers Beer Company runs bars at events in the UK and Ireland and has been operating at most of the major festivals since 1986. They employ a staff of volunteers whose wages are donated to the organisations, campaigns and charities they support. 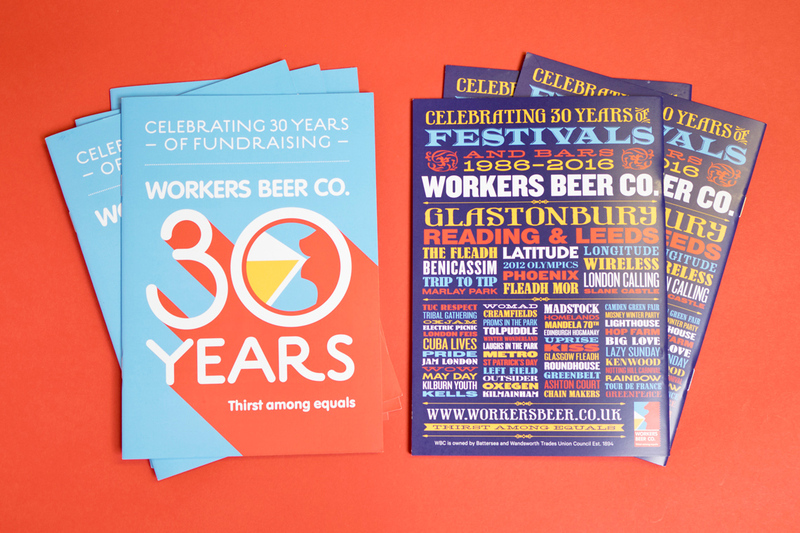 Working together with the Workers Beer Company, we created the branding for their 30th Anniversary celebrations. 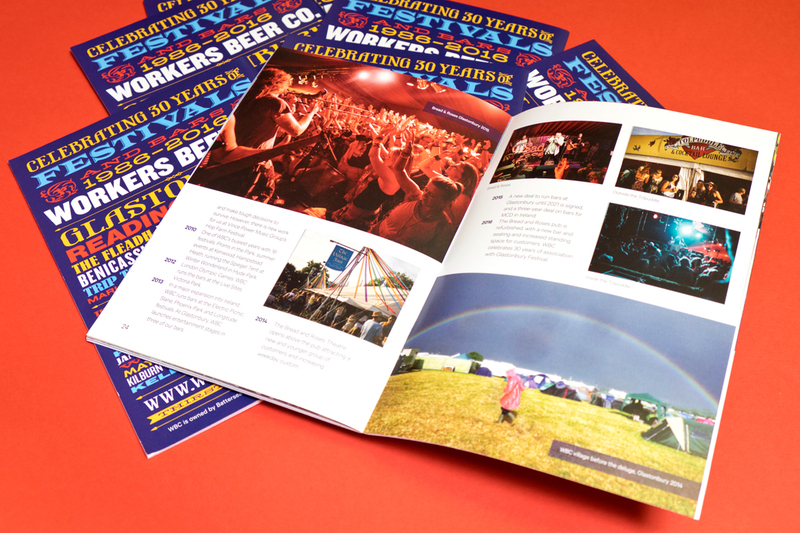 Items included brochures, posters, t-shirts and badges all of which were rolled out at Glastonbury 2016. Our first step was to work up a commemorative logo for the anniversary. 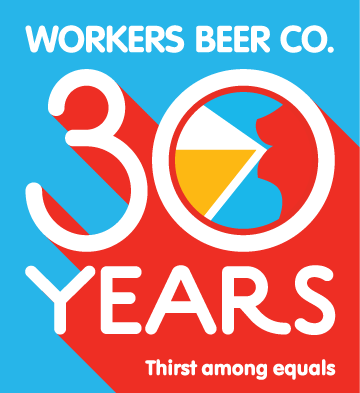 This is a bold and colourful solution, taking the core visual graphic from the main Workers Beer Co. logo and containing it within the zero character of the 30 Years typography. 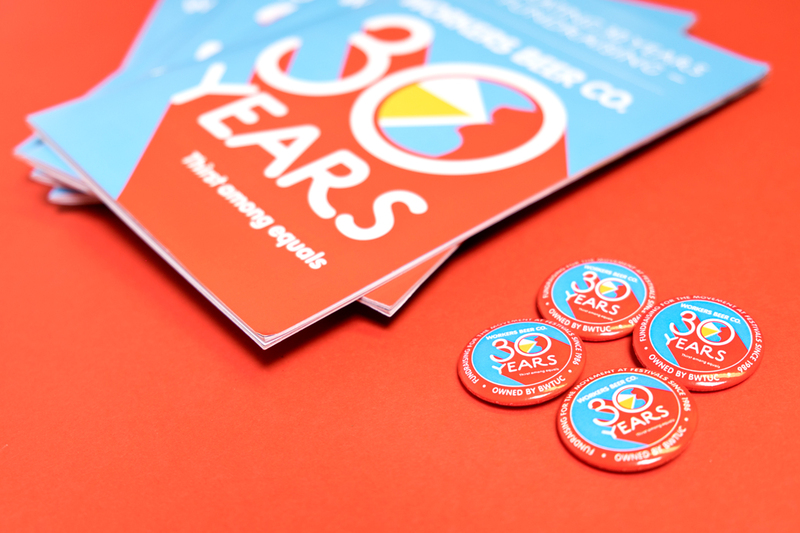 The red three-dimensional effect used on the thirty years text gives it a classic poster feel which ties in with their festival background. Another key element in the overall look was a typographic poster, celebrating the attendance at 30 years’ worth of famous music festivals. 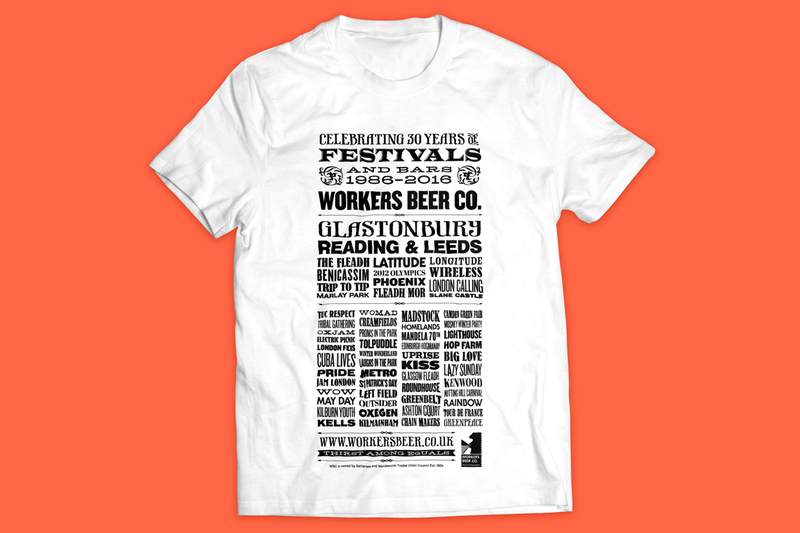 This was deliberately given a vintage festival poster feel to tie in with the Company’s festival heritage and it was used on T-shirts worn at this year’s Glastonbury.